Microfiber cleaning for glaring cars! People those are running out of time to take care of their cars often use simple clothes to rub the exterior and the glass. This is the minimum that people do with the intention of exterior car management. Unless a person takes this minimum care the exterior of the car might become dirty and the dirt might start affecting the vehicle body. But one should know which type of clothes to use in car cleaning process. 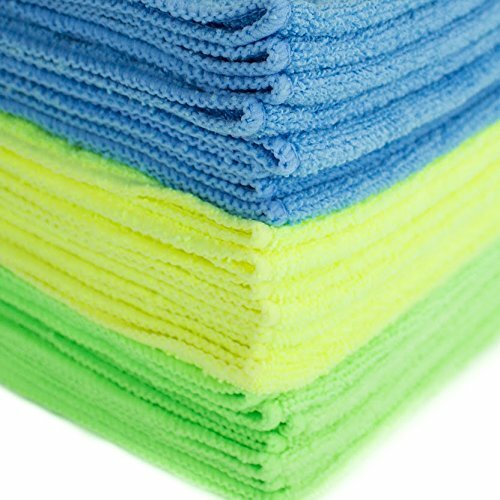 Zwipes microfiber cleaning cloths are one of the best tools to have in your stock for regulating the cleansing process. From the technical standpoint, Zwipes microfiber cleaning cloths is an above average performer for sure. The weight of 24 pack cloths is 1.6 pounds. The product dimension of these cloths is 16 * 12 * 0.1 inches. This product is originated in the United States. Zwipes microfiber cleaning cloths is full of many good features that can help a user to receive optimum performance of their car. Some of the mentionable features of this car wash product are as follows. At least 110000 fibers in every square inch altogether made these clothes for cleaning dust without any need of chemicals and detergents. These car wash detailing microfiber cloths are really very soft. You can use it in your kitchen too. These clothes can absorb good amount water during the working process. At least eight times water in can absorb than its weight. Thus your car exterior will dry up faster. The uses of these cloths are easy, just rinse the clothes in water before the first use and do the same when you will take a new piece from the pack. You can reuse these cloths to clean exterior of your vehicle. Just wash these with water and use those hundreds of time; still, you will get the top performance. You don’t need to spend money by purchasing costly cleaners while you have this product in your stock. These cloths will not scratch the surface of your car as it is made is advanced non-abrasive formula. You can get these car detailing clothes at a reasonable price and can use for long period of time. The manufacturer offers free shipping option that you can avail. You will not witness any spot or scar over the car exterior or the glass if you know how to wax a car properly. While having these microfiber cloths your work will be relatively easier. 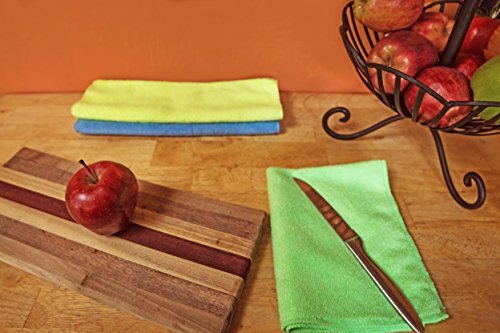 These microfiber cloths can offer you streak free results. You can even use these cloths to clean the dirt from the wheel or anywhere else of your car. For exterior car management, cleaning clothes are one of the fundamental things that you need to have. You can use those clothes in any conditions. Reuse of the clothes is possible after the wash at warm water. 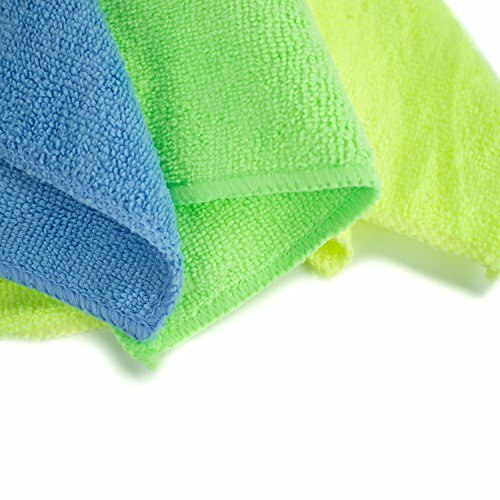 These microfiber cleaning cloths can absorb almost all waters that you want to dry down. Considering the product quality and the price you ought to spend, you can easily decide on making the purchase of these clothes and having those in one corner of your car. These are the best cleaning cloths I have ever used. I clean everything in my house with them. They don't scratch, they don't leave lint, and they clean like a dream. You don't even need chemicals - a little bit of water and these clean windows better than anything I've ever used. Just pop them in the wash and you're not using up paper towels. I've washed mine dozens of times and they are still going strong. Great product. No need to buy window cleaner anymore - use one of these with water only. Wring it out until you can't wring out any more water, wipe your windows and be amazed. With this many cloths, change them out frequently if doing a big job. Then, take a DRY one and go over one more time for good measure. It is amazing how clean the glass will be! It will even squeak it's so clean. No lint sticking to glass, no streaks, just sparkly diamond shining windows. I also use these to dust furniture and other household items without using any sort of dusting spray. Wet one with water, wring out until you can't get any more water to wring out, and use it to dust/clean. 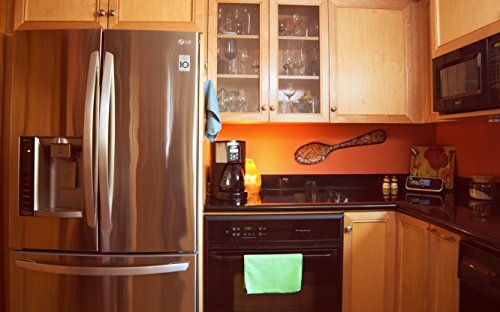 Not only do you save $ not needing to buy cleaning supplies/chemicals, they just do a really good job. I use them for everything. Be sure not to wash them with fabric softener as then they will not be as absorbent. 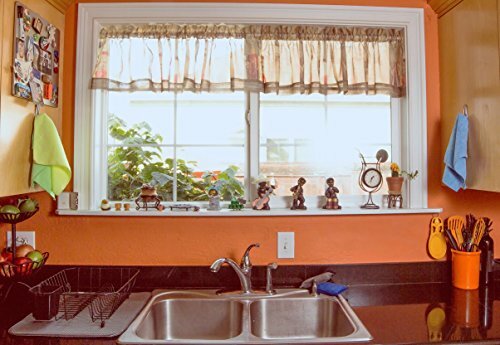 Pick a color to use only in the kitchen as cleaning with these cloths in the kitchen will inevitably pick up some grease that may not totally come out in wash, and pick another color just for glass. Love love love these.